Welcome to another edition of Forensic Friday. I've been incredibly busy this week, but I want to touch on a very useful cmdlet called Get-ForensicChildItem. Those with a PowerShell background can probably guess what Get-ForensicChildItem does. 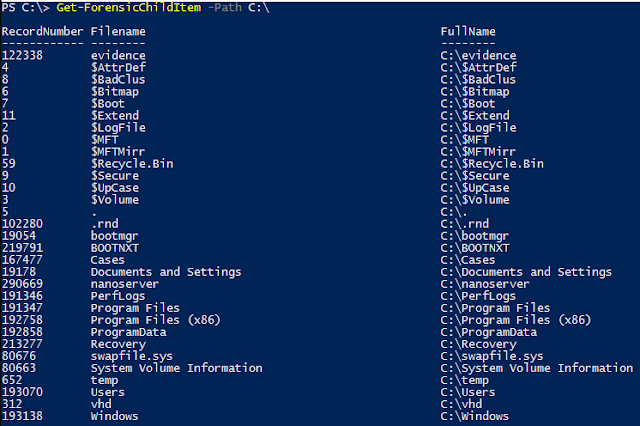 For those that are new to PowerShell Get-ChildItem is the cmdlet that is used for directory listings (among other things). 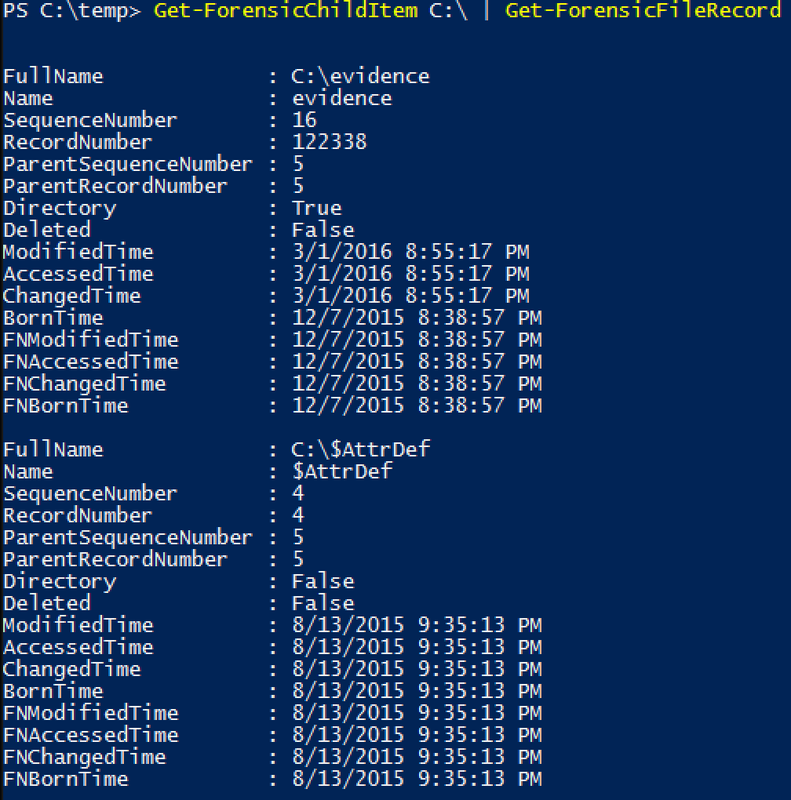 Get-ForensicChildItem performs the same task, but without the Windows API. 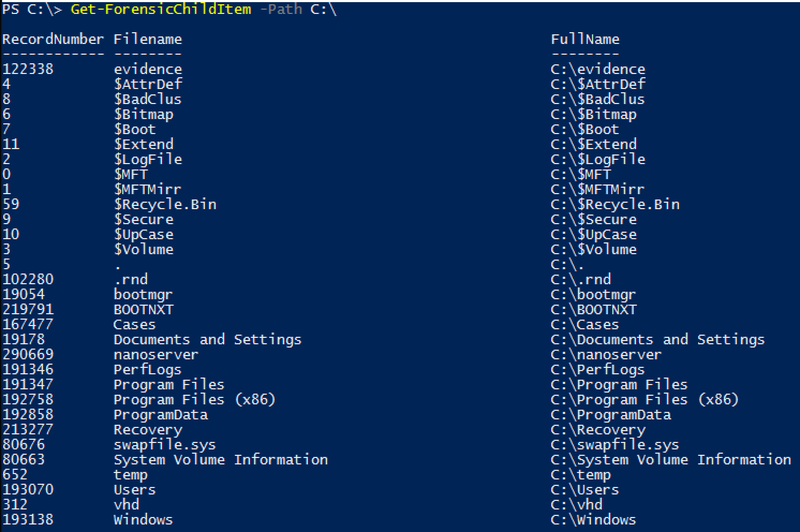 It parses the Master File Table (MFT) to find the entry for the target directory and outputs a list of files the directory contains. To understand what is happening it’s important to know that NTFS treats directories just like any other file. This means that directories each have an entry in the MFT. All NTFS does to differentiate a directory file from a data file is flip a bit in a flag field and adds special $INDEX_ROOT and $INDEX_ALLOCATION attributes to the directory file’s MFT entry. Get-ForensicChildItem parses these attributes to return the contents of a directory (including System and Hidden files).